RAISING DIRT BAGS ~ One Love Through The Generations. | DBP MAGAZINE ONLINE The World's Best Free Whitewater Publication. RAISING DIRT BAGS ~ One Love Through The Generations. Life is full of adventure and surprises. My adventure began with the blessing of having my daughter GiGi late in life when I never thought I would have a child. Shortly after she was born I started recreational kayaking with friends. The love of the sport quickly grew into an obsession which I knew my daughter had to experience. As a child, my father instilled in me the love of the outdoors. We would play in the creeks, on the lakes and nature in general. When my grandparents noticed I was missing, Dad always knew where to look, the creek. I wanted this to be GiGi’s way of life and for her to experience nature, serenity and the peace that the water offers. On her second birthday, with the help of my friends, we organized a family float down a section of South Elkhorn Creek that we refer to as the Weisenberger. This is basically a lazy river type float with a few shoal rapids. It is a beautiful paddle that flows through the heart of Kentucky Thoroughbred farm lands. 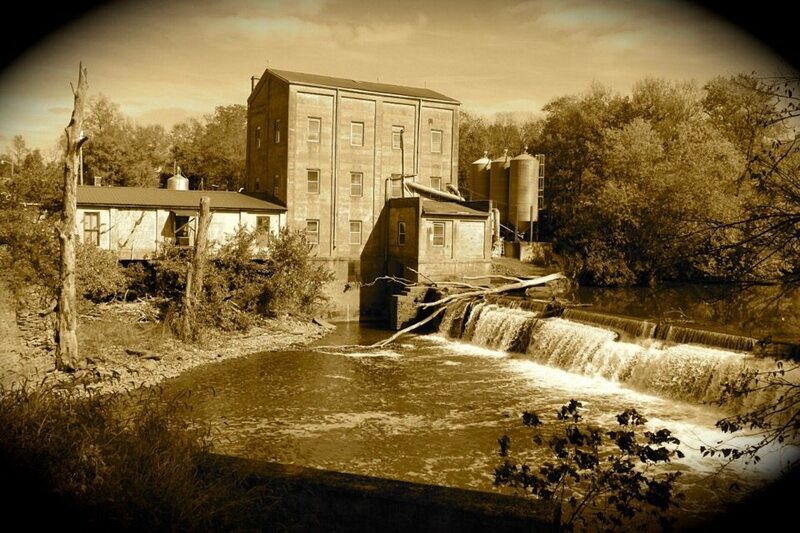 The put in is at the Weisenberger Mill which is the oldest operating mill in the US. Watching the water flow over the low head dam as we launch on the creek mystified GiGi. She loved to see the flow of the water. 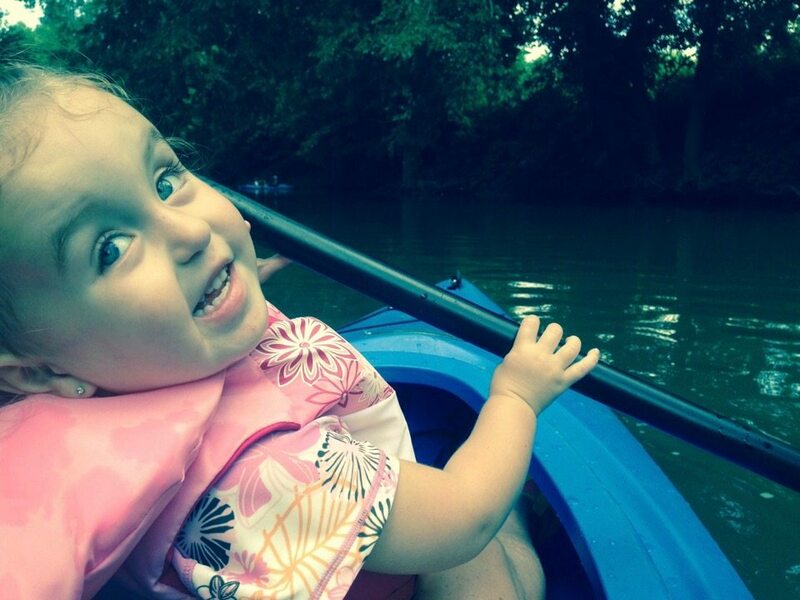 We hit the river at the time of her birth as if she was being born again into the river life. She was a natural. 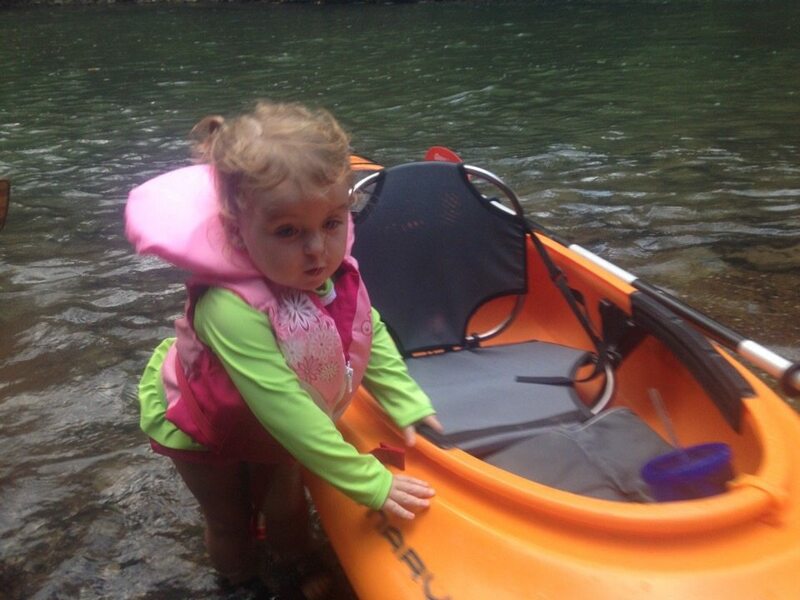 She loved being on the water, even taking the paddle and steering us down the creek as much as a 2-year-old could manage. Her eyes sparkled as we paddled through this beautiful water. When we got out to have snacks on the river she was the first to grab a boat to get back on the water. She was trying to launch the boat herself. Since then our #DBFamily has grown. After meeting Tommy (what’s his name) our family adventures have blossomed into summers full of festivals revolving around rivers, which brings even more love into our lives. The fact that Tommy, the other love of my life, is a waterman of sorts is a big plus for me. 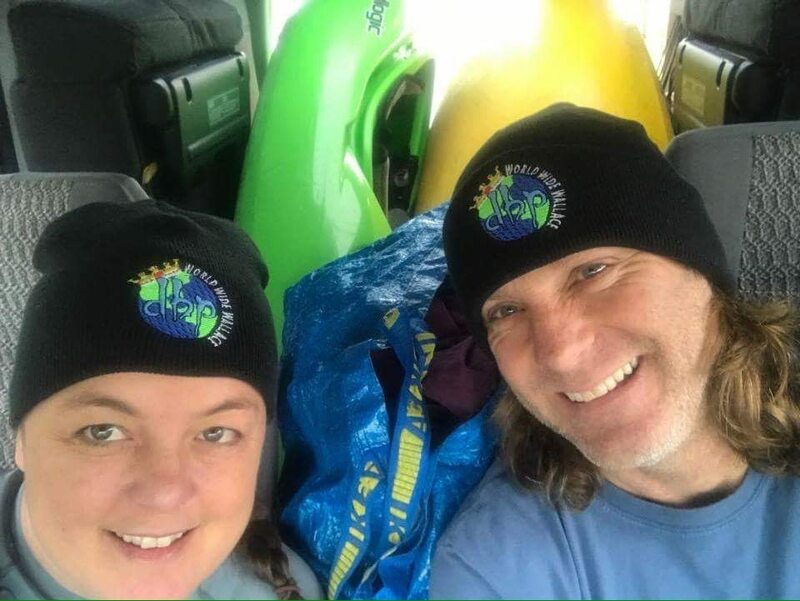 Our first outing with the Dirt Bag Paddlers was the Icebreaker in Hartford, TN in April 2015. 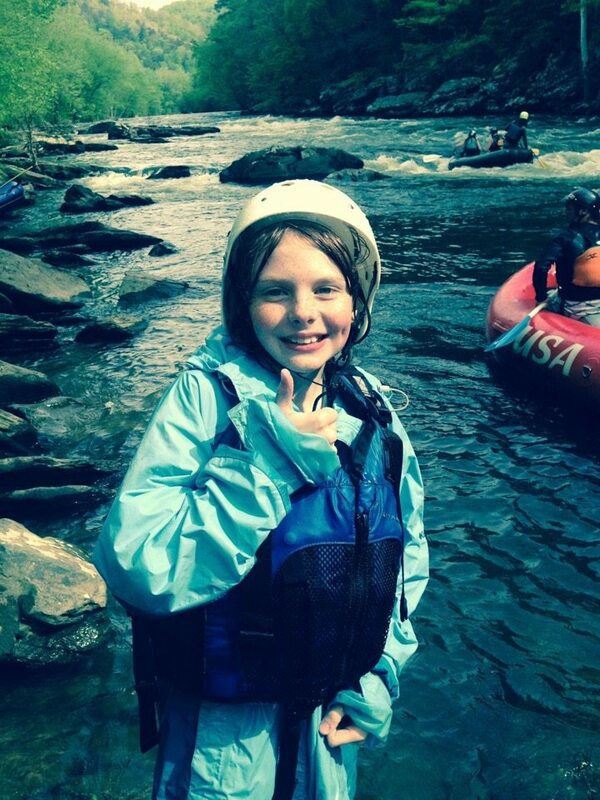 We had a family weekend of camping and Tommy’s son Karak had his first time ever experiencing whitewater. 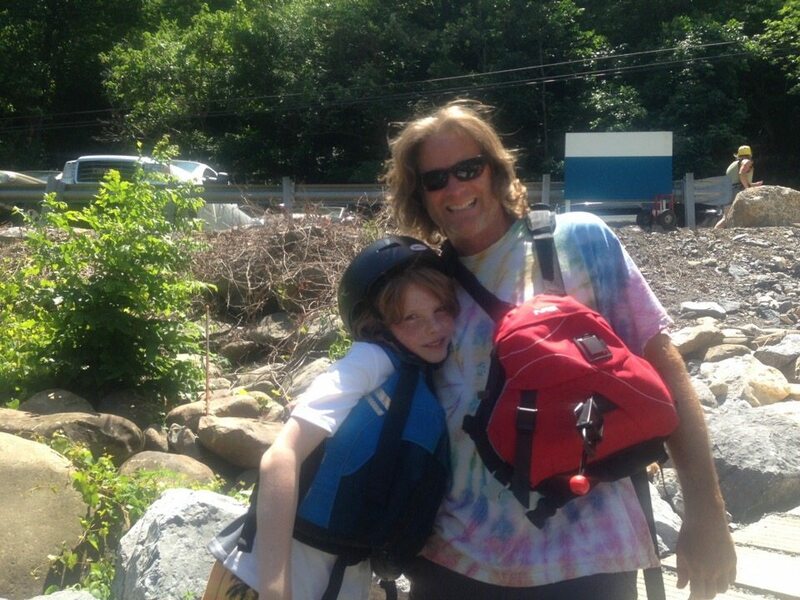 He was guided by a guy named Klark, who has a great time showing kids how to paddle. Karak was 11 at the time, and had a smile as broad as the river itself. 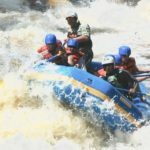 Although we began our journey learning to negotiate the rapids together in kayaks, we soon realized that in order to enjoy this pastime as a family, a raft needed to be our next boat purchase. So in year two we spent time learning to R2, hoping to gain enough skill and comfort to get the kids out with us. 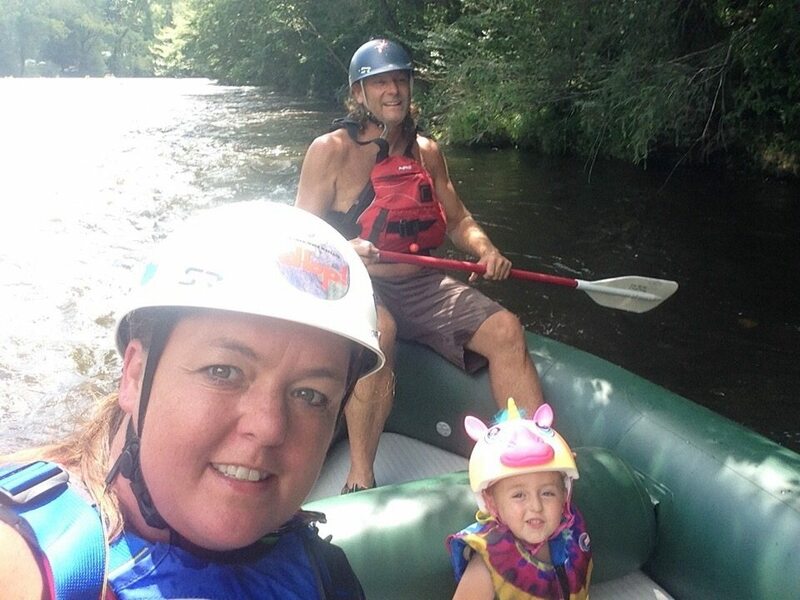 On GiGi’s 4th birthday she got her first whitewater trip on the lower Pigeon River, including a riverside party. We paddled as a family and Karak got a little taste of R2ing while I kept a close eye on the birthday girl. After that day, he declared that paddling is not his thing… “It’s yours.” He needs some work and some love. Hopefully he will come around. Gigi on the other hand is all about boating. She says every time we cross a creek, river or lake “Let’s go boating!! !” As she gets older and more comfortable with swifter water, we wait anxiously to watch her grow, and hope that Karak realizes that this is family time well spent. 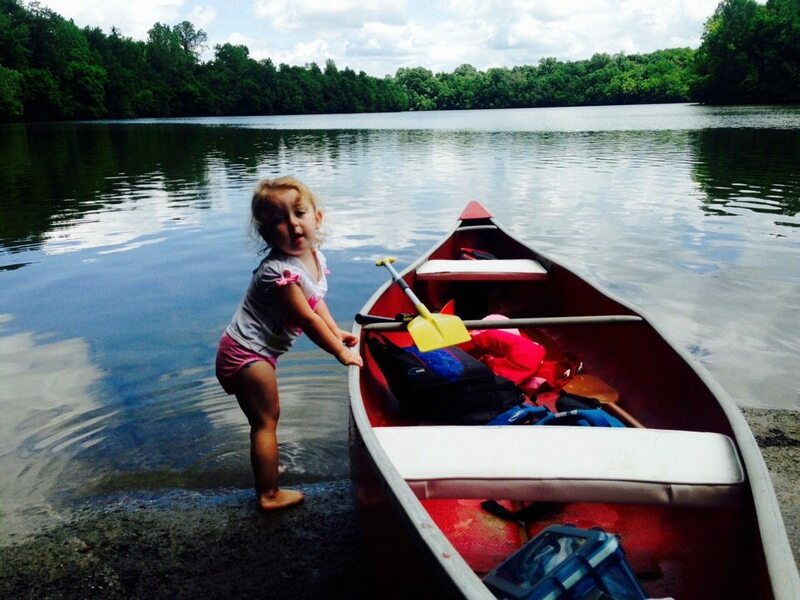 We are growing as a boating family, and our river family continues to grow with every paddling trip. The wonderful friends that we have met in this endeavor are also family. Strangers at first become instant family on the river, offering guidance and support. Darren and Susie, Chillywater, Wes, Ewok… There are too many to mention, but these awesome people have taken us under their wing as we familiarized ourselves with the river life. This is another way the river gives back. The DBP family has changed our lives and continues to enrich us. EDITOR’S DESK: Michelle Terrell and Tommy Hammit are DBP Admins, and we’ve gotten together as friends for a few years now at Gauley Fest, Michelle and Tommy with GiGi in tow! All DBP loves that little princess! !